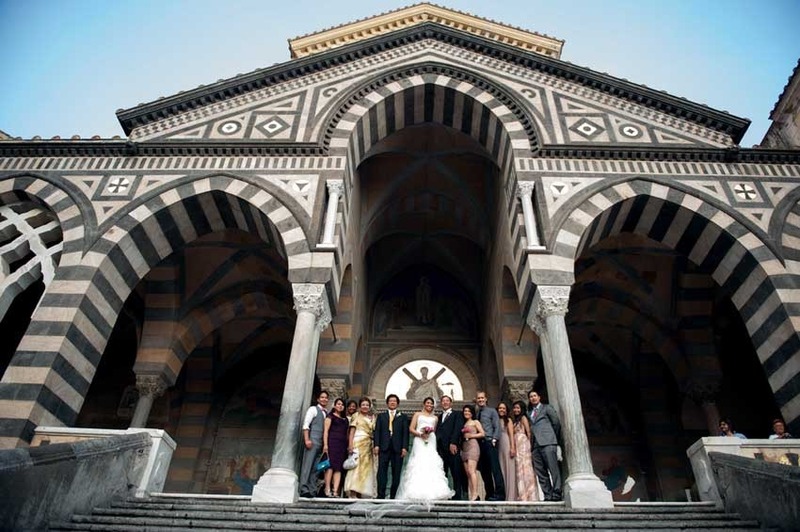 If you choose to hold your wedding in Amalfi, you will have a catholic wedding ceremony in one of the most ancient and impressive churches of Italy. Amalfi is known worldwide for its gentle and colorful Mediterranean shores, warm climate and welcoming people and it is one of the most popular marriage destinations of the world. 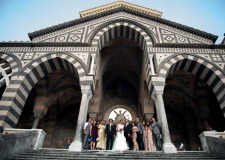 Amalfi has two churches where your catholic wedding celebration can be performed. This is certainly one of the most impressive churches of Italy, the historical Duomo of St. Andrews, located in the main square of Amalfi. Its present façade, brilliant with byzantine mosaics, is in Oriental style; its bronze doors, the first ones to appear in Italy, were given to Amalfi by Pantaleone di Mauro Comite, a noble man from Amalfi, who melted them in the 11th century in Constantinople where he lived and led the Imperial Party. The Duomo rises proudly at the end of steep steps that dominate the lively piazza where it is possible to admire a beautiful 18th century fountain. 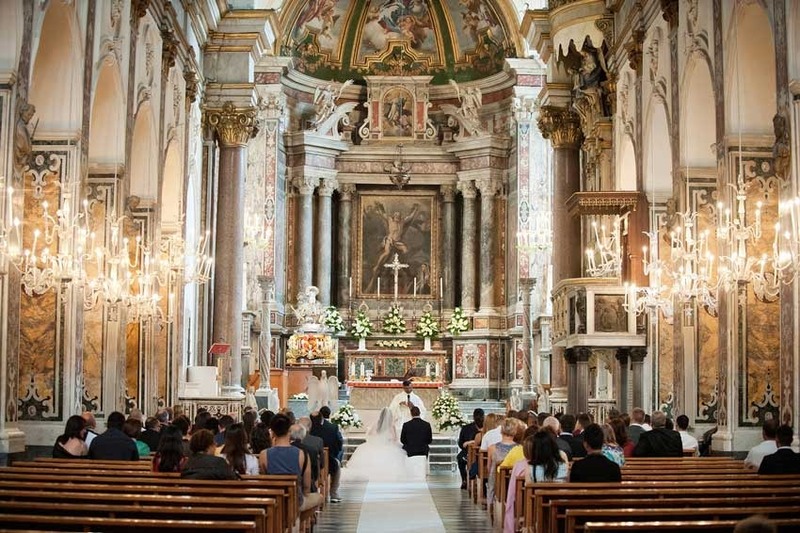 If you are planning a more intimate wedding you may consider a catholic wedding ceremony in the secluded chapel of Sant'Antonio, annexed to a former medieval convent founded by St. Francis in the 13th century. 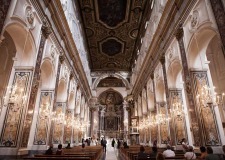 The interior of the church is very picturesque with a single nave and decorated by valuable frescoes. Both churches only allow catholic wedding ceremonies. The ceremony is conducted in Italian or English. The ceremony can be legally binding. An organ is available. Any type of sacred music will be accepted. We recommend to have your catholic wedding in Amalfi between April and the end of October, no weddings are celebrated during religious festivities and on Sundays.